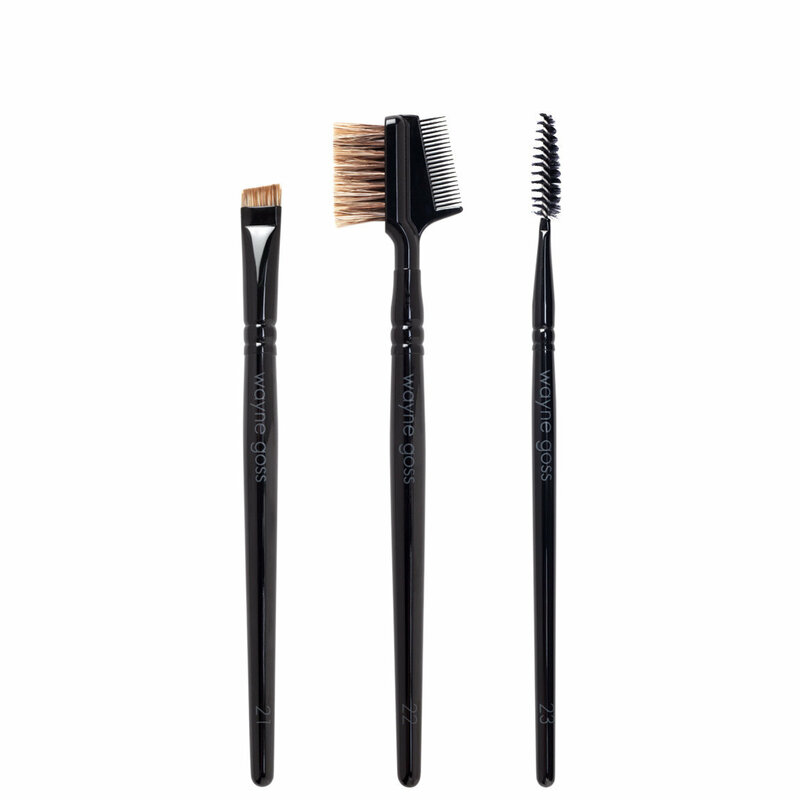 Sculpt, fill, and style your best brows yet with this set of three luxury, Japanese-made brushes. Designed by makeup artist Wayne Goss, these must-have tools feature silky natural fibers to enhance the performance of your favorite brow products. Wash your brushes occasionally with a gentle brush soap and let them dry hanging upside down. Some shedding is normal during the first few uses. Brush 21 – The Hero: A short, flat brush for applying all types of brow products—wax, powder, pencil, pomade, or gel—with precision and ease. Create natural, hair-like strokes with the fine tip to blend color seamlessly into brows. 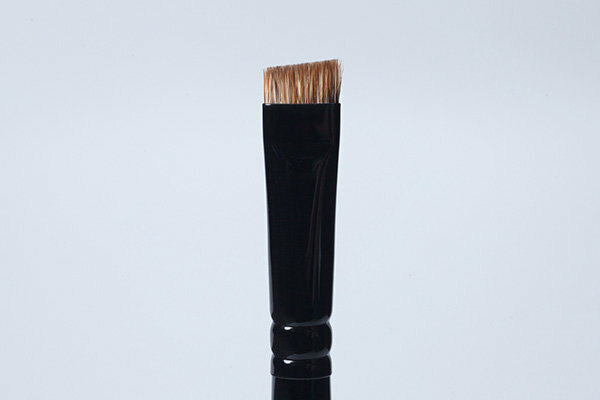 Wayne’s Tip: This brush can also be used to tap highlighter directly onto the brow bone for added definition. 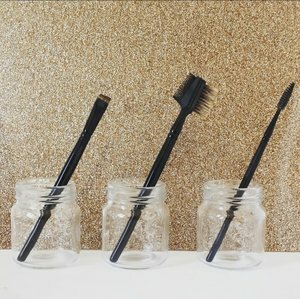 Brush 22 - The Multitasker: This multitasking tool includes natural bristles to groom, shape, and define brow hairs for an endless array of unique styles. 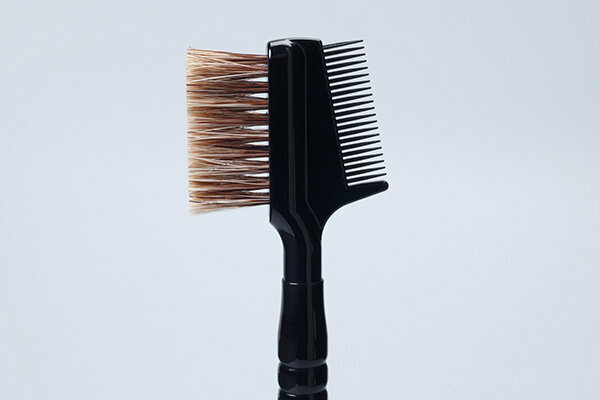 The fine-toothed comb separates lashes and de-clumps mascara. 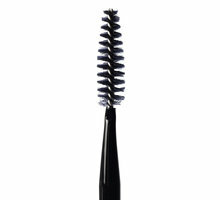 Wayne’s Tip: Apply mascara directly to the comb before working through lashes for a feathery, fanned-out effect. Brush 23 – The Pre-Show: An upscale take on the classic spoolie, the soft, dense bristles on this cone-shaped brush are designed to distribute products smoothly into the brow. It’s also perfect for applying mascara. 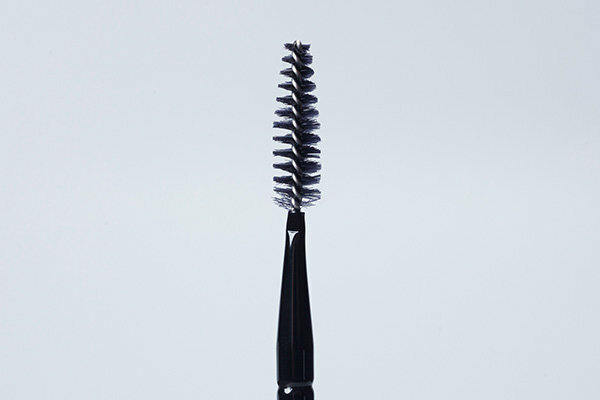 Wayne’s Tip: Brush brow hairs upward with the spoolie to reveal sparse patches before filling in with product. The ultimate brow set for sculpting, filling, and styling your best brows yet. EXCELLENT QUALITY FANTASTIC PRICE!! I am so happy that I was able to try these out prior to the launch. It's amazing what a difference quality makes. I've always struggled with my brows because most brow brushes are synthetic which is not ideal for applying a powder product to skin. Most of the time I only use brow powder because I find that it's quick and looks natural. I absolutely LOVE the #21 brush!!! The shape and size of it makes it incredible to fill in your brows quickly and with expertise. I feel like my brows actually look better than they normally do! They are super easy to use! The #22 combo brush is fantastic because once again the brush is badger and not synthetic. This brush will be great for the dip brow pomade/ gel brow product users because it will help you keep a strong brow that looks soft and natural just by brushing through it at the very end. I know some of you are going to be like..."why do I need a luxury spoolie???" And the simplest answer is "because sometimes it's just nice to have a tool that is handcrafted and not just a cheap piece of junk!" I love the price point because it's affordable for someone who is just starting to amass their Wayne Goss collection and doesn't hit to hard for those of us who have his other sets. The craftsmanship is the same high quality as the rest of his brushes and these are the perfect compliment for the other sets as well as your makeup collection. An excellent trifecta of brushes! As soon as I saw Wayne's video revealing that he'd be making a brow set, I knew I had to get my hands on it. I've used a couple of the Anastasia brow brushes (most recently, the 14), and they've been ok... they get the job done with accuracy and all... but eh, they don't always perform that well, in terms of color delivery and blending. Obviously, Wayne has got the market cornered, in terms of brushes that blend beautifully; and his construction and quality are so spot-on that I knew his brow set wouldn't be disappointing. The #21, I've found, is also very versatile and can be used for several other purposes in addition to laying down brow color. 1.) It works great to line the eyes with products like MAC's fluidline. You can use the same application technique that you would with Wayne's #8 push liner brush, only with the #21, you'll cover more area on the lash line more quickly and it'll produce a slightly more dramatic line (but still beautifully close to the lash line). It also works well for lining with Colourpop shadows, dark eye shadow powders, etc. 2.) #21 can be used as an eye detail brush, to create a sharp outer corner, or to emphasize the angles in a blown-out eyeshadow look. 3.) #21 can even line the lips. I just tried this with a deep aubergine lipcolor (go hard or go home, right?) and it worked like a charm... and I have rather small lips, so there's that too. 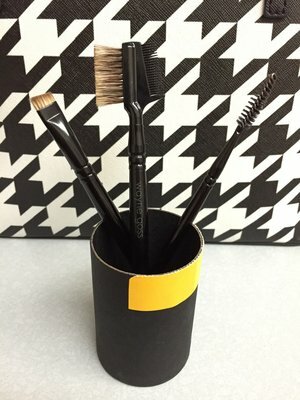 In this set, you get 2 great multi-tasker brushes, excellent quality, and a promise of on-point brows from a master brow critic, himself (have you SEEN Goss's brow videos? SO FUNNY). The set is at a great price point and I think it'd be a wise investment (no matter if you're pro or not); you'll get a lot of mileage out of these. Well done, Wayne! Being a huge fan of Wayne Goss videos for years I was overjoyed to hear that he was coming out with makeup brushes. I knew that because of his knowledge and attention to detail that these brushes were going to surpass anything that I already had in my kit. So I decided to purchase all of his brushes and so far he has proved me right! 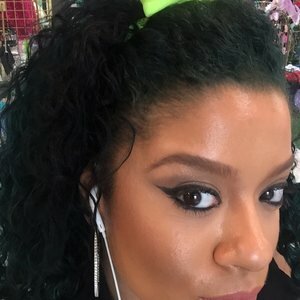 Anyone that is so passionate about what they do and always strives to go the extra mile to educate his followers on the best products and techniques will obviously come out with something epic! I spoke with Nils at the Dallas Makeup show and he informed me about Wayne launching a eyebrow brush set. There was no hesitation on my part to get my hands on them. I just received them in the mail last night and use them this morning and I can already see the difference and why he chose to make these fabulous brushes in such a way. We all know how Wayne adores a natural looking brow and these tools do just that! I started with brush 23 to groom my brows. I always had a problem with foundation getting trapped in my brows and it took away from the overall look so it's great to shape and remove foundation. Brush number 21 is definitely The Hero! It's shorter dense bristles are perfect for applying color to the brows and reach all the way to the skin creating a flawless natural finish. I used this brush to apply a gel brow product and The shape and texture of the bristles made a total different in the application. I then finished my brows off with brush number 22 using the natural hair side to blend in a little bit of lighter brow powder creating more definition to my brows. I love that the brushes are soft enough that you can still see my actual brow hair without looking overdone. Thank you Wayne, my makeup baby daddy and to beautylish for excellent customer service and bringing top notch products to your customers! I thought I would never spend this much on a brow brush set...AT ALL. I was honestly reeled in after listening to Wayne's conference call thing, and I have so much respect for him as a makeup artist and a person that I had to support. So I preordered it and it came the next week. Just tried it yesterday, and OH my, these brows look so full yet so natural. That's all I ever wanted for my brows so I think it's worth every penny. Additionally, they lasted the entire, humid day without a setting brow gel. GOSS YOU HAVE GOT IT! If you think it's not worth buying because you might not use the other brushes...you're quite mistaken my friend because I've only used this set four times and every brush becomes a necessity, especially the 22 brush! They perfect every look you create, I promise you. Superb set for perfect brows. I'm a brow person. It's what I've done for many years and I specialized in training many makeup artist on how to create a beautiful brow that doesn't overwhelm the face but compliments it. Brows (like your hair style) can help with the appearance of restructuring a face shape. Naturally, I have tried MANY brushes and tools over the years. I've always recommended stiffer brushes for the brows and have always resorted to using angled liner brushes to create clean lines because nothing existed that did it. I finally can use a NATURAL brow brush! The shape of #21 is a bit shorter and wider than most brow brushes which helps you create that consistent line easily. It's amazing for tapering off the tails as well. #23 is another fave for me as the brush end helps soften the arches. The lash comb I generally use to remove clumps from mascara or use it to apply mascara precisely to my lower lashes. The spoolie is probably the more normal brush you'll find but it's made out of really high quality steel so it doesn't get bend up when you use it! I've been using Parian Spirit to clean the spoolie. I recommend this set for brow artists, makeup artist and makeup enthusiast! I have allllways been on board with Wayne's opinions on how brows should look. I like mine to look as natural as possible and not over power the face. This brow kit is everything I could have asked for and then some!!! The angled brush is the best eyebrow brush I've ever owned. It deposits any formula of brow product beautifully as dark or soft as you would like. The spooly brush is also the best of its kind. It grabs each and every hair perfectly to shape them the way you want or to diffuse any product for a more natural look. 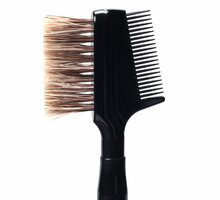 I also love the brush/comb combo..I even tried what Wayne suggested to use the comb for mascara application! It works amazing..my eyelashes look perfect today and are clump free. Thank you Wayne for more amazing brushes!! From the awesome packaging to the first touch you will know that these brushes are unlike anything else. The thought process and care that Wayne puts into his brushes are amazing. Especially in the brow set! He created brushes unlike and uncomparable to any others. The way the product goes onto each brush is so smooth and looks so excellent. My lashes also look amazing! Be sure to watch Wayne's video on how to use the brushes, it will help a ton! Love love love this set! I was dubious about this set originally because of the price. HOWEVER, after watching the video and "getting" the work (20 japanese artisans/ brush!) involved and using the set a few times, I can wholeheartedly vouch for this set! I like how the #21's stiff brush creates natural soft lines. #22 I don't use the lash comb, because my wimpy asian lashes can't hold curl well and I've decided over the last few years to eschew mascara. That said, the brush side is great for softening my brow arches, and give that strong soft Cara D. eyebrow look I want. #23..... this was my hardest sell, because it's "just a spoolie." Honestly, this set is so meticulously crafted, and I really enjoy how I can display these brushes nicely on my makeup counter.... vs having to worry about one end being gross like with those standard other eyebrow double-ended brushes. Yes, it's an investment, but nothing changes your face like the shape of your brows. If you're on the fence, I'd say DO IT! I actually expected it to be more expensive than it is, so i was excited to see it was a great price for the set! Brush 21 is my favourite out of the set. It is stiff which is what i was hoping for in a brow brush. It works great with my brow dip and i like that the size is a little larger so it covers more area but turned at an angle can still offer short thin strokes for brow hairs. The spoolie is great and i use them more now than ever to shape. The double ended one is nice for declumping lashes although it is plastic it feels sturdy but do be gentle with it. All in all i love this set!